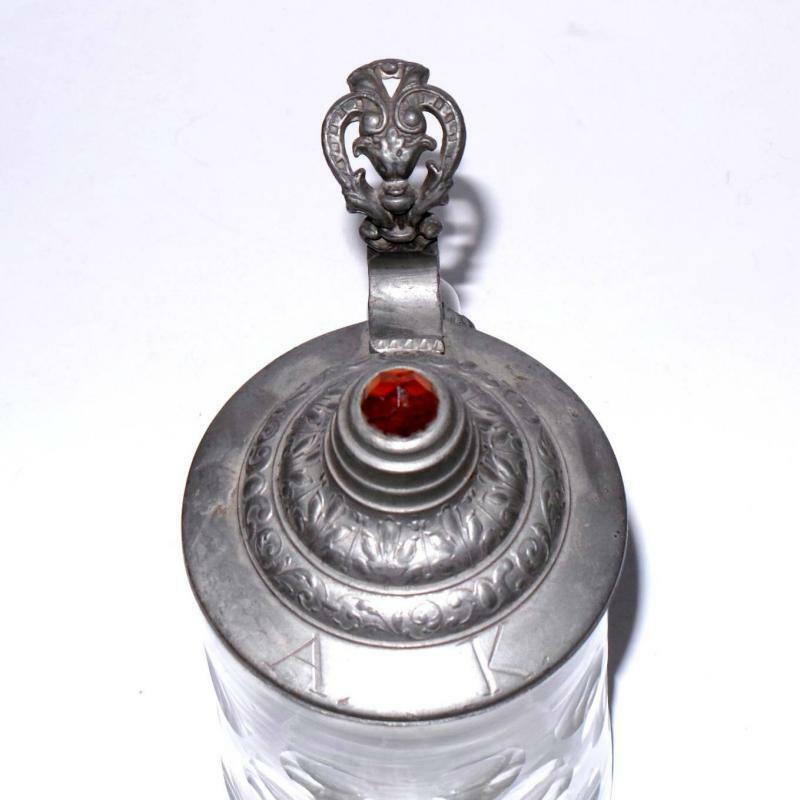 Antique German Beer Stein w/Cut Decoration and a Faceted Red Jewel Set in a Pewter Lid. 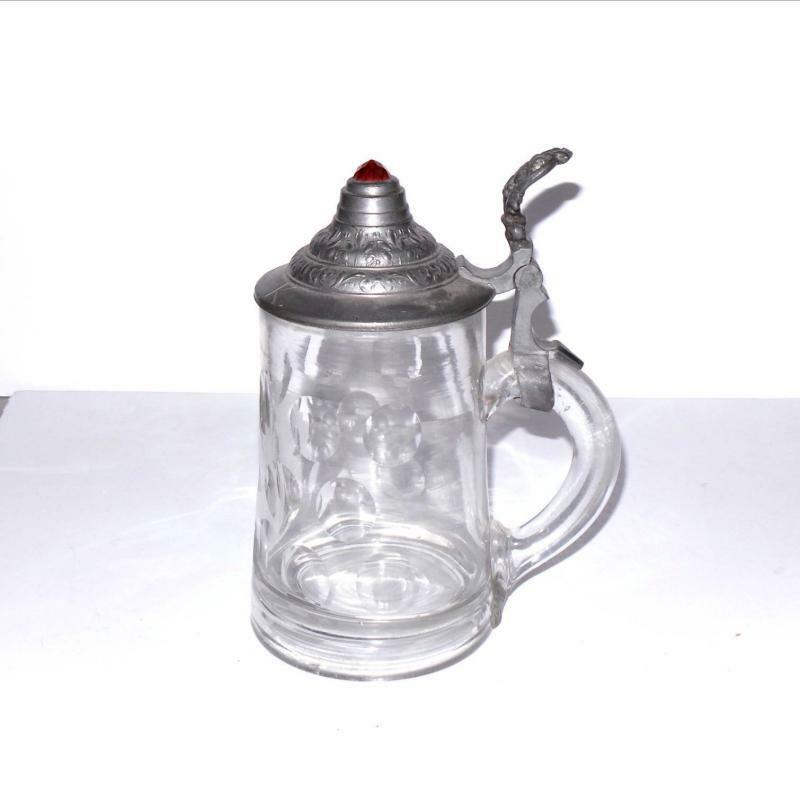 Antique German Beer Stein w/Cut Decoration and a Faceted Amber Jewel Set in a Pewter Lid. Ornate thumb lift. 7 1/4" high. Rim of lid engraved "A.K." 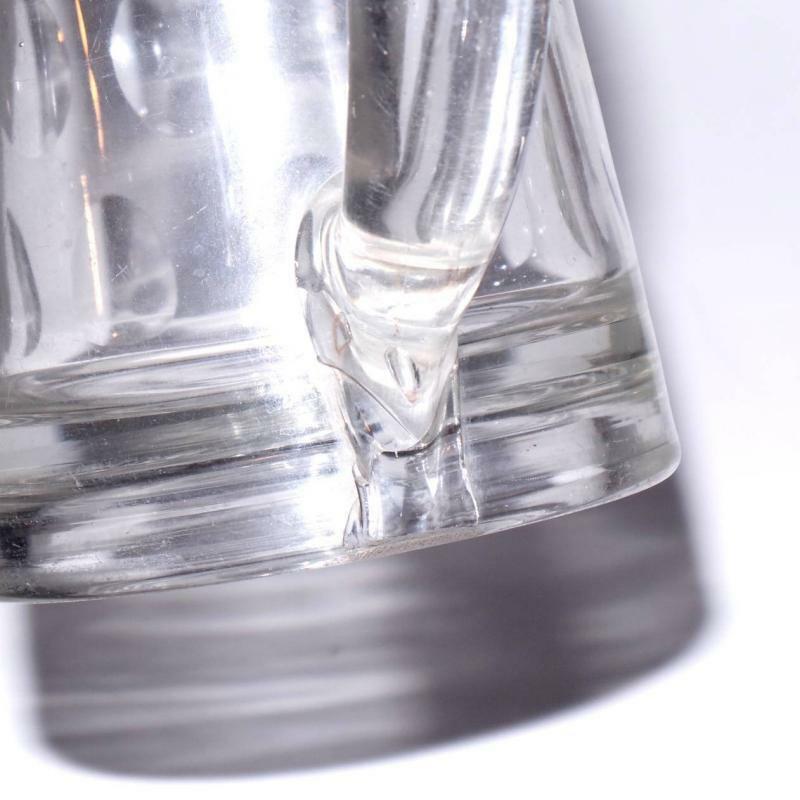 Applied handle has heat cracks at the bottom of the handle as well as a loss at the bottom of the handle due to those cracks.